One of the greatest ways to impart moral values on to the younger generation is through theatre, and what better way to do so by watching one of the most renowned fairytales come alive right in front of their eyes? Back for its second run since its debut in 2014, The Nightingale is an adaptation of the literary fairytale written by Danish author Hans Christian Anderson: when the Emperor of China (Leslie Tay) finds out that the song of the Nightingale (Kimberly Chan) is one of the most enchanting things in the world, he implored his Kitchen Maid (Natalie Yeap) and Lord Protector (Erwin Shah Ismail) to capture one for his daily entertainment – henceforth setting in motion a journey full of laughter, apprehension, and valuable life lessons. The Kitchen Maid narrates and plays her character simultaneously, alternating flawlessly between the two roles from the first person to third to provide an integrated point of view to the storytelling. The musical takes the audience through the characters’ lives and acquainting us with the varying roles that they play in acquiring the Nightingale. The Emperor, after all, has never left his palace and has never exposed himself to nature, thus explaining his lack of understanding the Nightingale’s desire to be free after he has acquired her – with the help of the Kitchen Maid and the Lord Protector. Just when everything seemed to be going well, the Nightingale realises that she could not survive under the Emperor’s selfish affection and naturally, the duo grows apart. Devastated and hurt that the Nightingale was not willing to be held in captivity for his entertainment’s sake, the Emperor tried replacing the Nightingale with a mechanical one. However, he soon had to learn it the hard way: genuine friendship could not be substituted or bought with any of his worldly possessions. The musical has a refreshing candour in its script and stage movements which allows its main themes to be easily comprehensible for its younger audience. One of them being the musical’s focus on the tenets of friendship, which are consistently explored between the actors’ dialogues and mannerisms: in one scene, the Kitchen Maid knew the best way the Emperor could cultivate his friendship with the Nightingale was to leave his palace, but instead chose to listen to the Lord Protector’s safety concerns with empathy. In another, the Nightingale made a conscious decision to fly to the emperor’s aid after finding out that he was on the brink of death – even if it meant facing the risk to be kept in captivity again. Eventually, the Emperor understood that true friendship constituted mutual respect; in this case, it meant granting both himself and the Nightingale the freedom to be themselves. 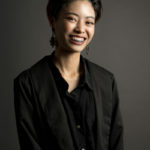 Through Ruth Ling’s well-composed music, it not only creates opportunities for interactions and sing-alongs with the audience, but it also makes it possible for each actor to develop their characters, and ultimately, validating that the power of music helps to bring them together by bridging their differences and disagreements with each other. While there were not many surprises in the musical’s dance choreography, the staging and costumes were pretty elaborate and colourful. The elements of shadowplay also add an interesting touch to the staging, as it was visually captivating and allows for the smooth transition between the scenes. Among the talented cast, Kimberly Chan shines with her crisp and powerful vocal abilities to emulate the voice of the Nightingale, which creates an ethereal on-stage presence for her character. Initially, I had felt a little apprehensive of her role in puppeteering and personifying the Nightingale in the first few scenes as there were hardly any dialogues where her character is concerned, and her portrayal as the Nightingale might have been seemed rather unrealistic. However, my worries were quickly dismissed as she was in character for the most part, and she had impersonated the mannerisms of a bird rather naturally every time she hits the stage. Erwin Shah Ismail stands out as an animated and comedic character, and is perfectly paired with Natalie Yeap, who complements him with her bubbly personality in their dialogues. Leslie Tay also did an amazing job with his portrayal as a spoilt and whiny Emperor, and his singing voice definitely stood out as well. However, if there is one cavil that I have to mention, it would be that I wished Leslie Tay could produce actual tears of joy when the Nightingale came back to him. Don’t get me wrong – I was immensely touched during that particular scene, but I felt that my emotions would have reached a higher intensity if I had seen those real tears. Of course, that should not matter much for those who were seated further behind me (I was seated in the front row!). While The Nightingale is largely marketed to a younger demographic, the musical is embedded with deeper insights that make it suitable and entertaining across all ages. After I stepped out of the theatre, I had a lot to reflect about my own personal relationships: I wonder if, at some point of our lives, we had been just like the Emperor – living in our own invisible cages unwittingly… and trying to keep our loved ones in captivity too? In celebration of SRT’s 25th anniversary, SRT is offering a 25% discount off Saturday and Public Holiday show tickets, with a minimum purchase of two. For more information, visit: http://www.srt.com.sg/show/thenightingale! Photos courtesy of Singapore Repertory Theatre. Professional feminist and self-proclaimed emo queen (it is not a phase, mom). She also never fails to spend her birthday wishes on world peace and a global boycott on animal-tested products. Singapore Budget 2019: What’s in it for you? Lifestyle. Music. Arts. Tech. Fitness. And the occasional Op-Ed. danamic. is a Singapore-based editorial — part of the DANAMIC group — covering topics with the veracity the people ask for — and rightfully deserve. © 2004 - 2019 DANAMIC. All Rights Reserved.